This flavorful fruit based condiment complements many Indian dishes. Chutney can also be used as a sandwich spread and as topping on various meats, either when cooking or later on the side. 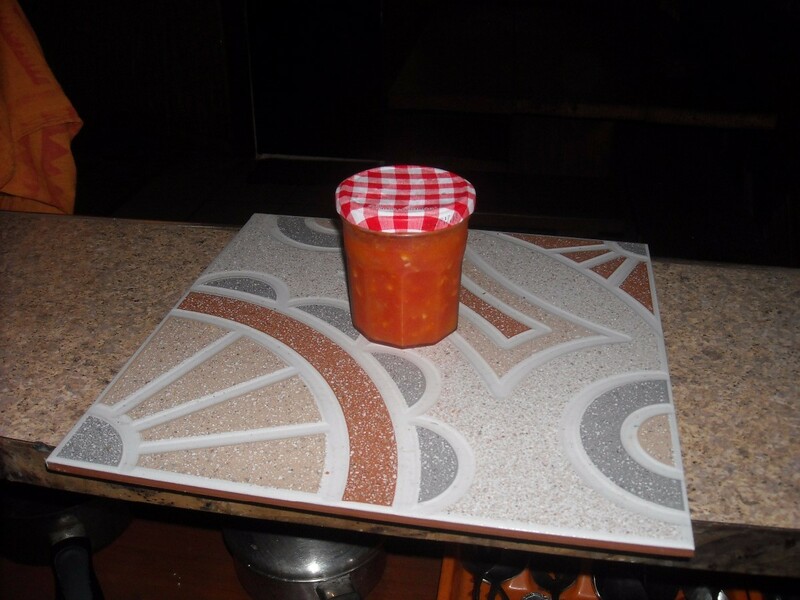 This is a guide about making fresh papaya chutney. Fresh fruit chutney is delicious and easy to make. Chutney can be made with a variety of fruits. I happen to use papayas because I have many papayas trees that yields around 8 to 12 papayas each week. I have also made fresh ripe or green mango chutney. 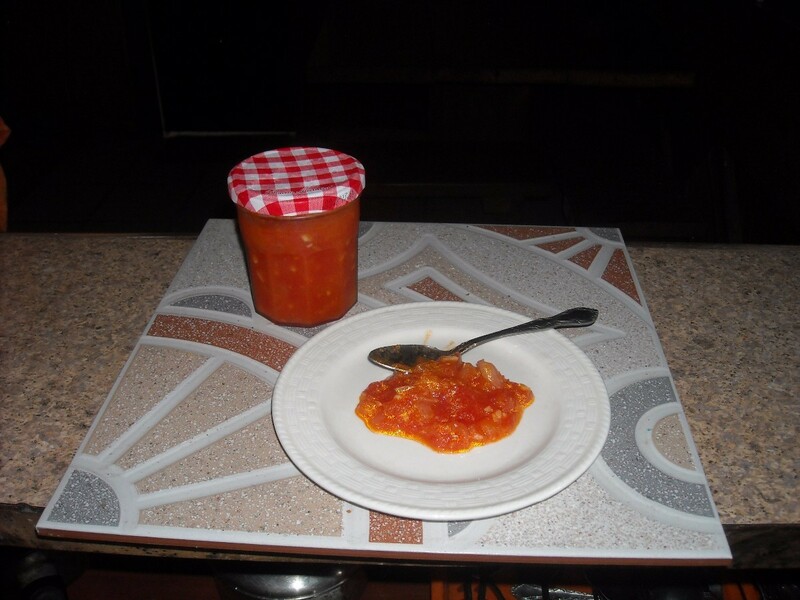 If you live in a place where fruit is inexpensive; try making some apricot, nectarine or even peach chutney. 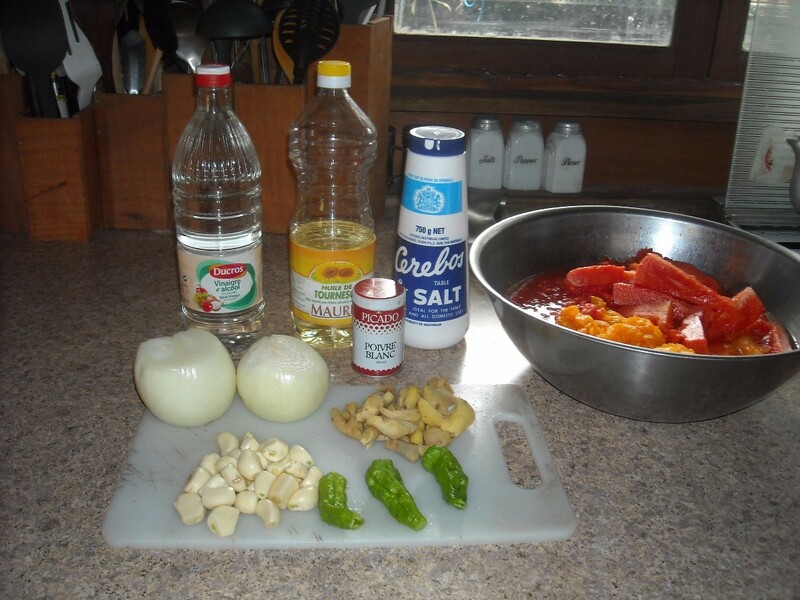 I add the chutney to a variety of foods like fish, chicken, pork, and beef. This is also delicious over rice, as a sauce for cooking, or topping off chicken baking in the oven. 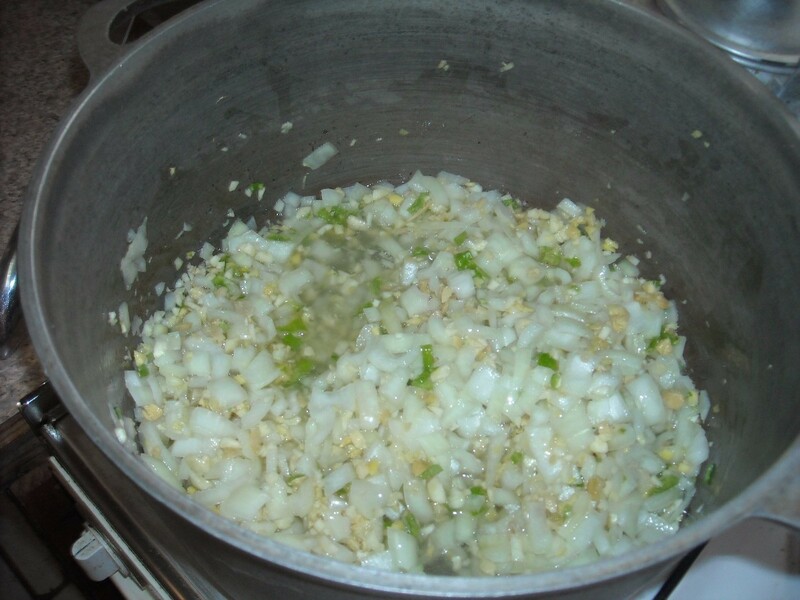 Add diced onions, garlic, ginger, chilies or black peppercorns, and oil in a 28 quart cooking pot. 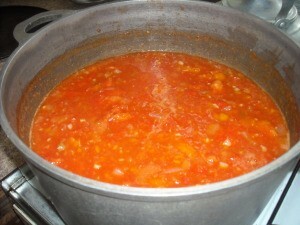 Simmer on medium-high heat for 5 to 7 minutes or until the onions are translucent. 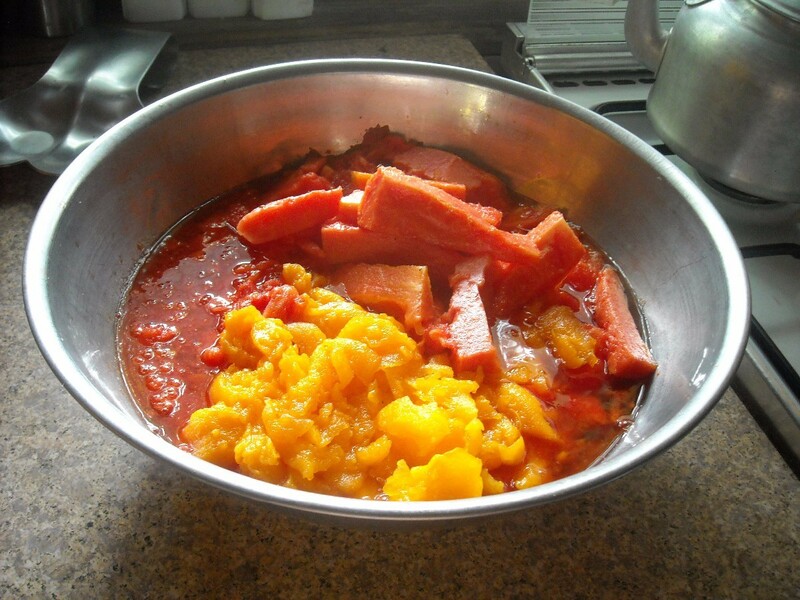 Add diced papayas, vinegar, sugar, salt and pepper to the cooking pot. Cook on high heat until the mixture starts to boil. Reduce heat to low and simmer for 45 minutes. Stir occasionally so it doesnt stick to the bottom of the pan. I normally place a wire cooking screen over the top of my pan. This helps during clean up. When the chutney boils it can make a mess on your stove top. While the chutney is cooking, prepare your glass jars. Wash and clean the bottles, place in a large metal baking pan, and fill half full of boiling water. Boil the lids or place the lids in a pan of boiling water. When the chutney thickens, remove from the stove. Fill the jars and seal them. Allow them to sit until you hear that each jar has sealed. * If you don't like your food really spicy only add a few black peppercorns to your chutney. 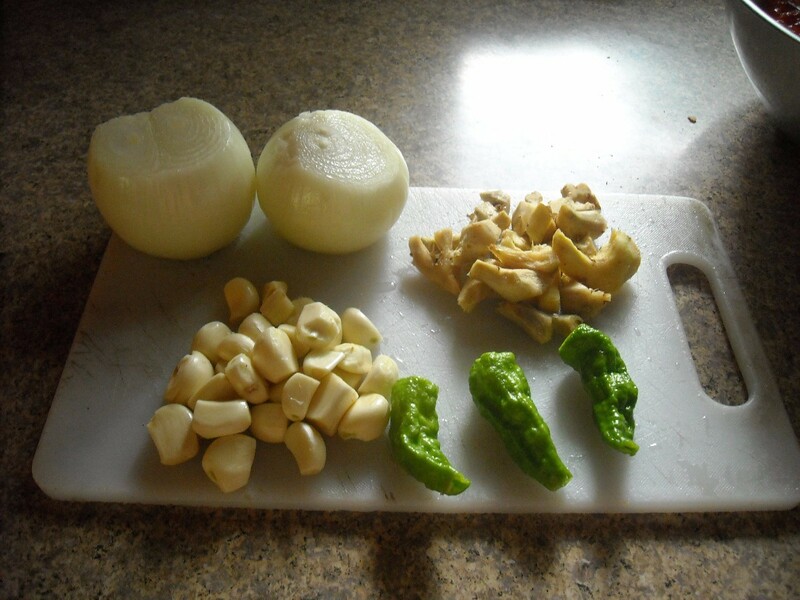 You can also reduce the amount of ginger and garlic you use in your chutney. Chutney can keep in your refrigerator for 30 days before going bad. I make large batches of chutney and use plastic sealed containers to put in my freezer. Frozen chutney can stay in your freezer for 4 months. Sounds simple to make and looks delicious. When summer comes I'll have to try making some for me.